You are here: Home i In Focus i In focus 2017 i The Nordic region in Europe i How can the EU’s social pillar be turned into reality? How can the EU’s social pillar be turned into reality? The EU summit in Gothenburg was a success for the Swedish hosts, but what will the social pillar mean for Europe’s citizens? There were two reasons why the EU held a summit on social issues and the labour market for the first time in 20 years. “The wind is back in Europe’s sails. Politically we are in a much better situation now. Nine million jobs have been created. The Commission of course cannot take credit for the fact that this has happened, but I am certain that we would have been blamed if nine million jobs had disappeared,” he said. All 28 member states are experiencing growth. But it is not evenly divided, and years of austerity politics have taken their toll – especially in countries like Greece, Spain and Portugal. Brexit is a challenge, as is the demand for independence in Catalonia. “The crisis led to greater gaps within Europe. The gap widened between those who had been living in a country for a long time and the newly arrived, between minorities and majorities and between different countries,” says Ylva Johansson, Sweden’s Minister for Employment. “Widening gaps represent a threat. We have seen populism on the rise, as well as racism. We have seen the far right marching through Europe’s streets. It is absolutely necessary to change focus,” she says. 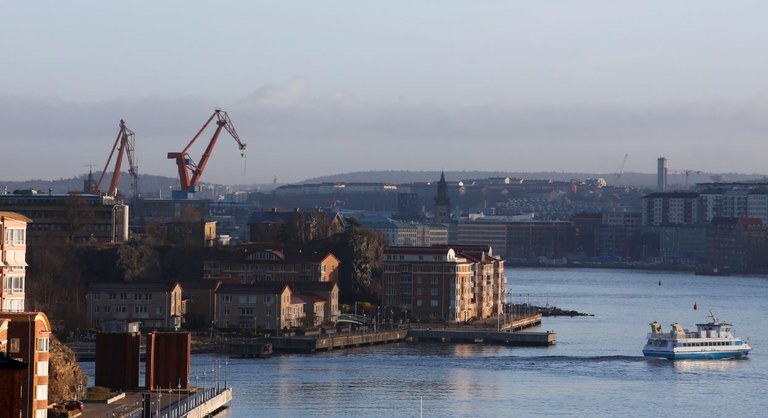 “We are here to put the people first, in a social Europe,” said Swedish Prime Minister Stefan Löfven as he opened the summit at Eriksberg, an old shipyard in Gothenburg which is now a conference centre. Yet the EU has limited resources. The EU budget is only 1.2 percent of the member states’ total budgets. Out of that, only one quarter – 0.3 percent – goes to social measures. Then there is the issue of what in EU language is known as competence; whether a decision should be taken by the EU, or on a national level. The member states are not alone in wanting to keep decision-making rights on social and labour market issues, especially wage setting. Trade unions and employers want the same. 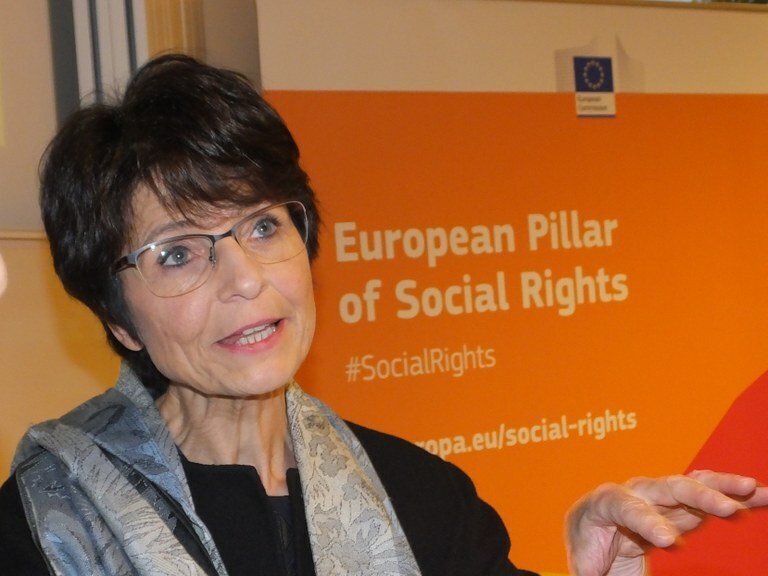 “At Union level, the European Pillar of Social Rights does not entail an extension of the Union’s powers and tasks as conferred by the Treaties. It should be implemented within the limits of those powers,” reads the introduction to the pillar. The legal status of the 20 principles on which the social pillar is built is still unclear. But a citizen cannot use the text to demand individual social rights, unless the text is adopted into national legislation. But it might lead to social rights getting more focus from the EU Court of Justice, point out researchers who have studied the text. “National social rights and working conditions has had lower priority in the EU Court of Justice compared to economic issues. The free flow of capital, labour and services is written into the EU treaty in a much stricter manner,” writes researcher Zane Rasnač from the European Trade Union Institute, ETUI. According to her, this has become clear whenever the EU Court of Justice has been balancing the right to introduce collective measures in working life contra the freedom to establish businesses and the freedom to offer services. The two most important judgements are Viking (about the Finnish Seamen’s Union FSU’s right to take industrial action in protest of the flagging out of a ferry) and Laval (a Latvian construction company operating in Sweden which was blocked by the Byggnads trade union for refusing to sign a collective agreement). Since the right to collective agreements does not have the same legal protection as the freedom to establish businesses and offer services, the two latter were prioritised by the EU Court of Justice in the Viking and Laval judgements. When 28 member states now have managed to agree on a minimum standard in many areas, it is an achievement in itself. It has been very controversial in certain countries. “President Viktor Orban has called the pillar one of the EU’s five attacks on Hungary. How did you get him to sign?” a Hungarian journalist asked Marianne Thyssen, the EU Commissioner for Social Affairs, the day before the EU summit opened. “Did he say that? I didn’t know, but I visited Hungary and explained quite clearly what the social pillar is all about. I think it was misunderstood,” said Marianne Thyssen. There is a point dealing with the homeless, yet no proposals for how to improve the rights for people who have chosen to work in a foreign EU country. “This is also in spite of the fact that the public consultation highlighted the protection of migrating citizens as one of the areas where problems persist,” writes Zane Rasnača in her study. She calls it a missed opportunity. As the EU lacks both money and legislative power, what remains is for it to perform a coordinating role. The European Trade Union Confederation (ETUC) therefore underlines that the agreement which has been reached must be followed up with more concrete measures as soon as possible. 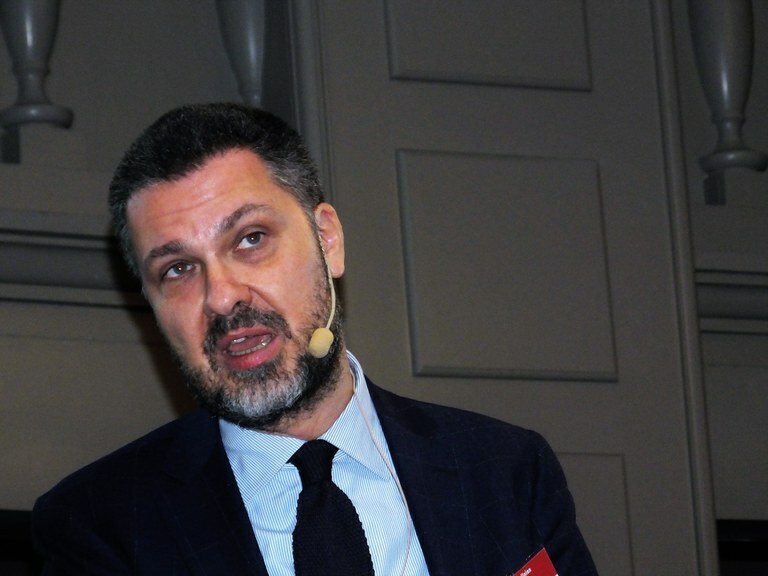 “We are convinced that the Proclamation of the Pillar must be followed by an action plan for implementation, made of legislation and concrete initiatives,” said Luca Visentini, the ETUC General Secretary. The EU Commission also has two other tools. The European Semester, introduced in 2010 to make sure EU countries coordinate economic policies throughout the budget year. The Commission can use this to present general and country-specific recommendations. The idea is that the social pillar will now become part of this coordinating policy. The second tool is the scoreboard which is meant to survey indications of economic imbalances – a kind of early-warning system to show whether things are heading in the wrong direction. The idea is that the scoreboard should also have social indicators. 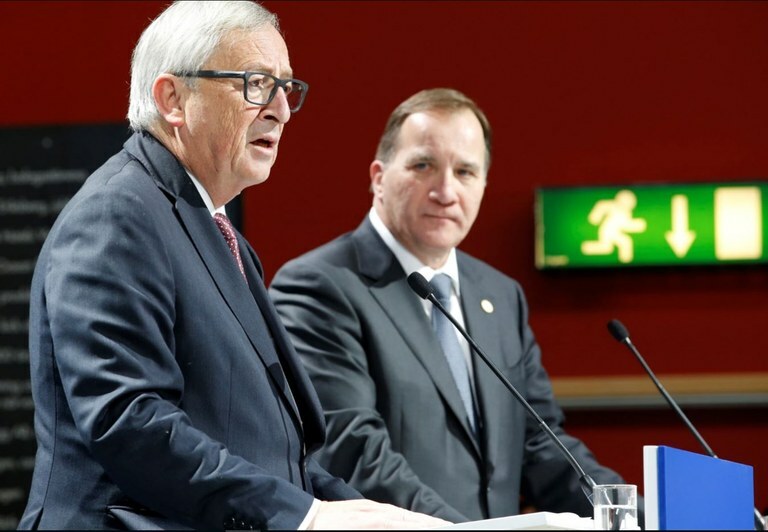 Photo of Donald Tusk, President of the EU, Stefan Löfven, Prime Minister of Sweden and Jean-Claude Juncker, President of the European Commission, at the EU summit in Gothenburg.